The four-hour scenic is the perfect trip for families. It is just like the “Full Day”, but without the whitewater. Experience beautiful scenery, enjoy a tasty picnic lunch, and keep your eyes out for wildlife as you journey 24 miles down the glacier-fed Nenana River. Please note: This tour is only available June 5 - Aug 20. 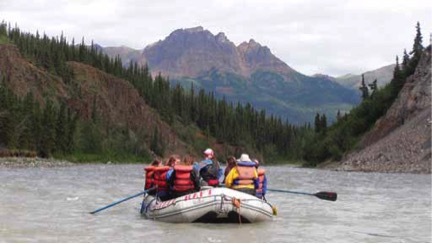 This trip operates from June 5th to August 20th weather and river conditions permitting.